Faculty of Applied Science / Mechanical Engineering / 2017 / January / 20 / MECH 223 Competition January 25th! 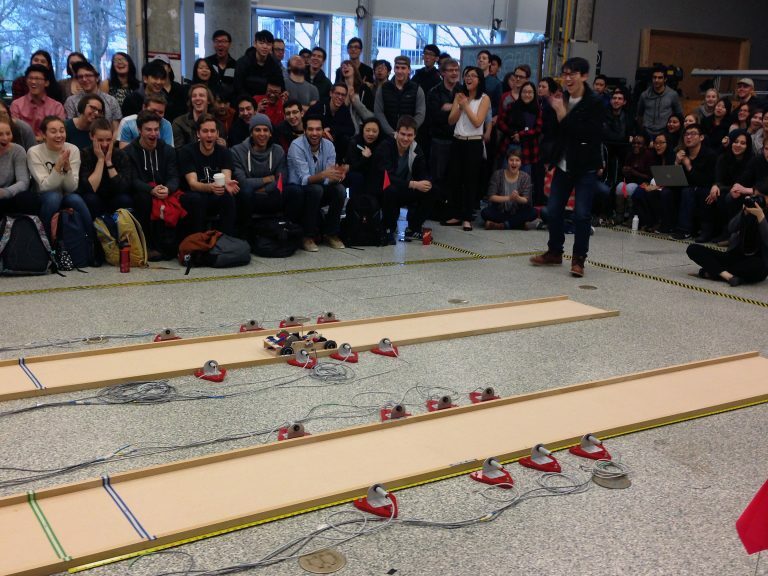 MECH 223 Competition January 25th! Come see what our second-year students have been building at the MECH 223 design competition on Wednesday, January 25th. This year, student teams were asked to design a Launcher and an autonomous Orbiter spacecraft capable of deploying a set of standard Landers. The primary learning focus of this year’s project is for students to become familiar with the process of developing a design which best fulfills a particular set of desired characteristics within a given set of constraints. Students will be judged based on their methods of concept generation, concept evaluation, and prototyping. The competition will take place in the Fred Kaiser building (2332 Main Mall), room 1180, from 11:00 am-3:00 pm. Stop by to cheer on your favorite team! All are welcome! We’ll be posting photos of the competition after the event, so be sure to check back. 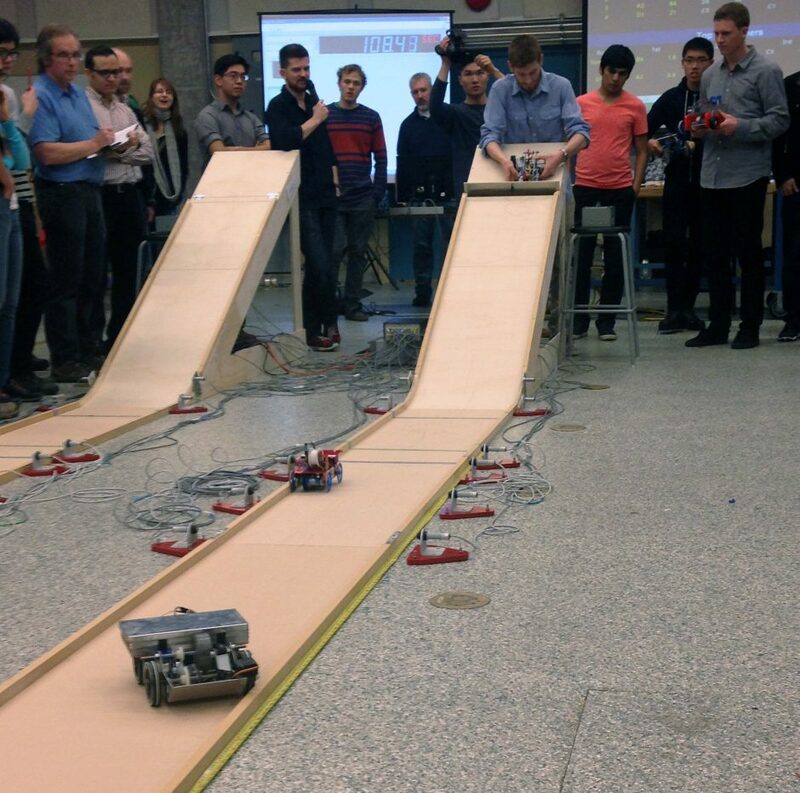 Here’s two from last year’s competition, which involved vehicles that use regenerative braking!